Never shy of the camera (or the scissors) Rihanna topped the list for her "Skrillex" inspired buzz. After this unusual hairstyle, Rihanna has since returned to her gorgeous full head-of-hair auburn locks. He's known for being one of the best soccer players in the world and has a very unique style, but this hairstyle will go down in infamy as one of the worst of the century. Say it ain't so! Who can forget when ScarJo arrived on the red carpet rocking a full-fledged mullet. Why Scarlett, why? When Osbourne first appeared on the MTV show, "The Osbournes," she was a fiesty 17-year-old with hairstyles all her own -- but this mohawk was a serious cry for attention. There is nothing worse than a man with greasy, slicked back hair. This world famous soccer star is one of many culprits to try this hair trend. From cornrows to dreakdlocks to afros (and everything in-between), we're surprised Christina's unique hairstyles didn't make this list more than once. In terms of hair-evolutions, Justin has been through it all. We've seen him with dyed hair, cornrows, frizzy locks and now (the look we like the most) side swept. Justin's blond, curly phase was a huge miss. There are very few men who can pull off long hair and Russell Brand's stringy, long hair isn't one of them. TV judge Simon Cowell is mean, crude, and rude and now his hair tops the list for being one of the worst. There is nothing worse than topping a list for your "general" hairstyle, aka, every hairstyle. Nicki Minaj has managed to squeeze in at number 10. While we agree some of Minaj's looks have been unconventional, we applaud her risk-taking attitude. So far, singer Rihanna has had a rough 2013. First, she topped the list as one of the worst selling magazine cover girls and now she's made another "worst" list for her hairstyle, the "Skrillex" cut. A new poll, conducted by Fabriah.com asked 1000 people to vote for the worst hair fads of the last 13 years. Rihanna's "Skrillex" hairstyle received 20% of the vote. This hairstyle involves shaving half of your head while leaving the other half full of beautiful hair. Rihanna debuted this look at the premiere of her movie "Battleship" in May 2012. There are several other high profile celebrities who have donned this look including Avril Lavigne, Ke$ha, and Ellie Goulding, all of whom have their own unique style. 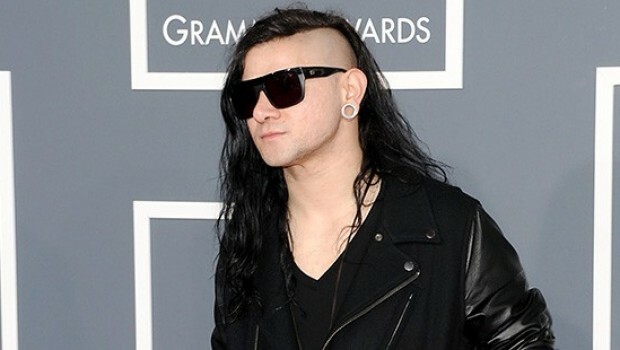 The "Skrillex" trend continues to rise in popularity and is showing no sign of slowing down. The poll also ranked David Beckham's infamous cornrows and the beautiful Scarlett Johansson's mullet in second and third, while Nicki Minaj's general hair styles came in last place at number 13. Click through the gallery above to see the full list of the worst hair trends of the 21st century.